HOW DOES EACH OF THESE SWITCHING DEVICES WORK? One of the most common electro-mechanical switches in a vehicle, the main job of a relay is to allow a low power signal to control a higher powered circuit, or to allow multiple circuits to be controlled by one signal. Relays come in a host of designs, from solid-state, which has no moving parts and use semiconductors to control the flow of power, to electromagnetic relays, which uses magnets to physically open and close a switch. A common type of relay you find is a Mini ISO relay, a general purpose relay that comes in an industry standard footprint and fits the needs of many electrical applications such as lighting, starting, horn, heating, and cooling. Solenoids are a type of relay engineered to remotely switch a heavier current. Similar to the smaller electromechanical cube relays, a coil is used to generate a magnetic field when electricity is passed through it, which effectively opens or closes the circuit. The terms solenoid and relay can often be used interchangeably; however, in the Automotive market, the term solenoid generally refers to a "metal can" type, whereas a relay typically refers to the standard "cube" style relay. The contactor is the relay to use when a circuit must support a heavy current load. Common applications include industrial electric motors used in heavy trucks and equipment, buses, emergency vehicles, electric/hybrid vehicles, boats, light rail, mining, and other systems that simply require too much power for a standard relay. 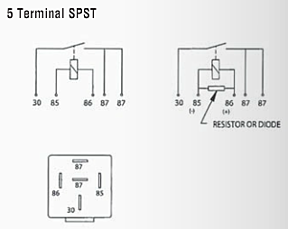 If listing these three electro-mechanical switches in order of carrying capacity, relays would fall at the low end, followed by solenoids, then contactors at the highest point. While contactors can handle enough current to help power heavy equipment, they also come with the highest price tag and require the most space, whereas relays require little space and can be purchased very inexpensively. At 40-100A, many solenoids tend to fall right in the middle of these two, both in terms of carrying capacity and price. When determining which one of these three switching products is right for your design, consider the form factor. Typically, greater carrying capacity equals bigger size, so carefully note the amount of space available to ensure the device you need will fit. If there is a conflict, it is time to either rethink your design layout or scale back the electrical system. When selecting any switching device, another key consideration is the demands placed by the environment in which the device will reside. If protection from elements such as humidity, submersion, dust, and vibration is needed, then a sealed product is necessary. Look at the Ingress Protection (IP) rating to determine the specific protection offered. Operating temperature is another critical point. The engine and surrounding components can generate extreme temperatures as high as 175°F, so all neighboring devices must be rated accordingly. It is important to note that solenoids and contactors are rated for either continuous or intermittent use. Intermittent refers to applications that have a brief activation period alternated with a longer rest time, such as a starter switch. On the other hand, switching products with a continuous rating can support applications requiring continual run time, such as winches. One of the most common questions we receive is whether or not one can use a continuous duty solenoid in place of an intermittent duty solenoid? While we always recommend using the component designed for the job, technically a continuous duty solenoid could be used but is in excess of what is needed. However, under NO circumstances can an intermittent duty solenoid be used when a continuous duty solenoid is required, as it is simply not equipped to handle a continuous demand. The decision to use a relay, solenoid, or contactor largely comes down to the current carrying capacity needed, while also considering how the form factor will fit into your design footprint. Once you have identified which of these three types of switching products is right for your needs, taking critical requirements like operating temperatures and other environmental demands into consideration will help you further narrow down your choices. 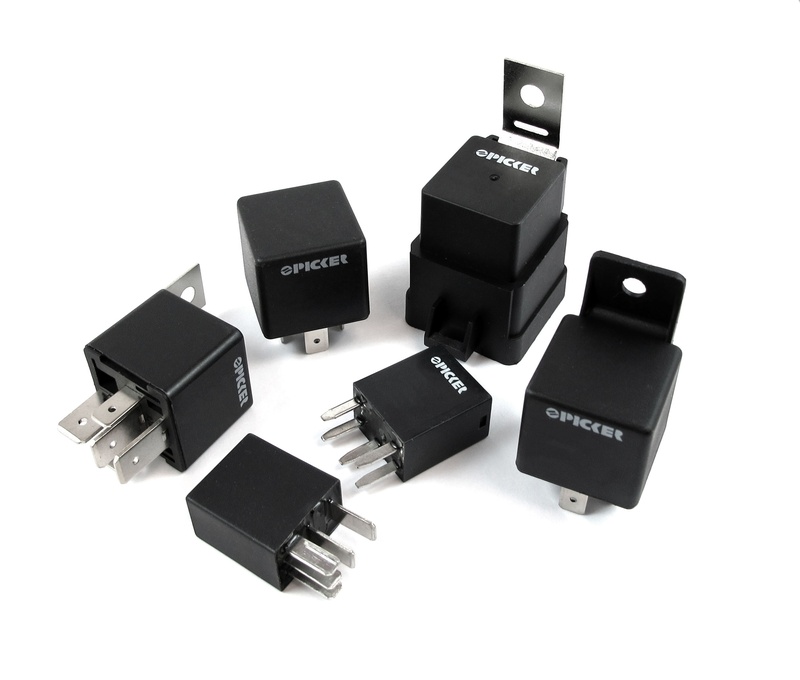 To find the right switching device for your needs, check out our complete collection of relays.